If you're wondering whether or not Clint Eastwood has any new tricks under his hat, you may be disappointed with his latest outing, American Sniper. Not so much a war movie as it is war-movie cliches holding hands, the biopic on Navy SEAL sniper Chris Kyle, based on his autobiography, is doing a disservice to the very real accomplishments the man achieved. Perhaps the simplest, most straight-forward, no-nuance technique was a way of honoring the American hero. Unfortunately it results in the opposite, giving us the hammy and obtuse Eastwood with which watchers of his work have become all too familiar. Contrary to the obvious pun, the film actually hits its mark. It's just Eastwood's mark we're watching. Bradley Cooper stars as Kyle, a Texas bull-rider who signs up for the Navy SEALs after his girlfriend cheats on him and, oh yeah, terrorist attacks on the US Embassy. The first bits of American Sniper read like a famous country song, but Ol' Clint isn't stopping there. Kyle meets and falls head-over-heels for another girl (played by Sienna Miller), September 11 happens somewhere in there, and the newly graduated SEAL is shipped off to fight the Iraq War. From there Kyle's story grows into legend, as he becomes the most successful sniper with the highest kill-count in United States history. Jason Hall adapted the screenplay from Kyle's book without a shred of subtlety or artistic voice. This is Kyle's story, plain and simple, and it's difficult to throw negative comments at a screenplay adapted from such a real life individual. Any commentary or cynicism thrown at the events depicted is going after Kyle and his legacy. While that isn't stopping some critics, I feel it's necessary to separate the two. Hall's work does seem the most Eastwood-friendly. Clint isn't exactly afraid of on-the-nose dialogue or ham-fisted melodrama. For years the stories he directs have grown steadily blunted, as if the artistic edge and need for subtextual identity wasn't important any longer. 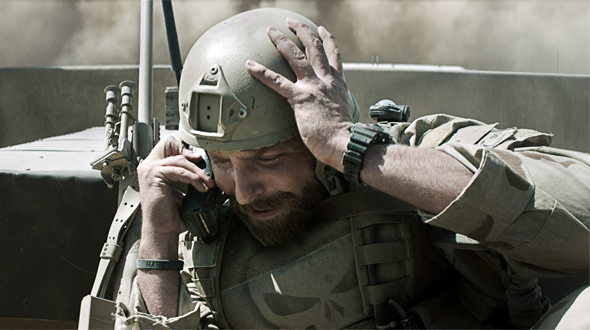 That doesn't mean American Sniper has absolutely nothing to say. It knows precisely what information it wants to get across to its audience, and it delivers that message with blunt-force precision. That being said, it doesn't stop American Sniper from delivering some tidbits of solid, military action. There are a few tension-filled sequences, Eastwood able to handily bring suspense to the table even when Kyle is long distances from the heart of the action. It's never as realistic or as suspenseful as something like The Hurt Locker, probably the most appropriate comparison you can make with this film. American Sniper, however, doesn't pull off the same level of execution when it comes to the soldier's difficulties at home. Kyle struggles when he's back with his wife and, now, family and vice versa. It's all there on screen but without the weight of emotion or even the same sincerity. As much as American Sniper wants you to believe in the truth behind the events it shows us, there's a falsity that runs through every frame of Eastwood's film. Those brief moments during the action where Eastwood hints at his ability to still shine makes it rougher to push through. The cliches and dramatic crutches on which the film rests are too noticeable. It all comes across as faux-American spirit, the fist-pumping, rah-cheering patriotism of which much of the country grew sick still bleeds through in Eastwood's aesthetic. Again, this may be an appropriate tone for the story of this man's life. That doesn't make it good cinema. What does make it worthwhile cinema is the pair of lead performances Eastwood has on display. Cooper seems to grow strong and stronger with each role he takes on. While the part of Chris Kyle may seem pretty standard for the actor, there's a certain amount of nuance Cooper gives to the whole project that isn't found elsewhere. Likewise, Sienna Miller more than holds her own in every scene she shares with Cooper. She becomes such a driving force with her portrayal of Taya Renae Kyle that you wish we had as much time with her as we do her husband. If American Sniper works in the slightest - and that's clearly up for some heavy debate - the co-lead performances are where the bulk of its pro arguments have to be made. Unfortunately the film's good will begins and ends there, a sampling of solid, acting work surrounded by a gray mass of obvious, nationalistic pride. 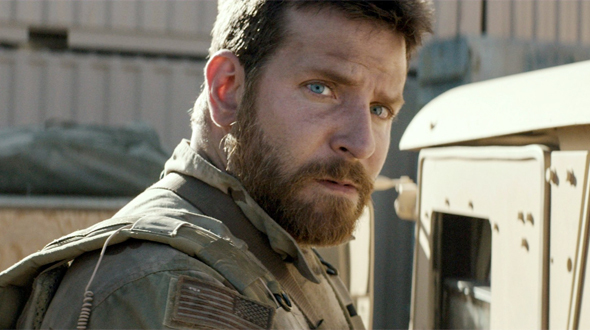 American Sniper dribbles its story out in the easiest, most typical of ways. That's to say nothing of the end to Chris Kyle's story, Hall and Eastwood choosing to wrap it all up with text on the screen, telling us rather than showing us. I, for one, had no idea what happened to Kyle, and the usage of title cards to explain it all seemed more like a cheap shot to the groin than a heartfelt and tasteful tribute. But, hey, it's the easy way, the Eastwood way, and with American Sniper, you can't say the director missed his mark. Yeah, because as I said above, the dude in real life was a sociopathic killer. I respect this review for the film critique that it is, but it desperately needs an editor's once-over. "Tense-filled sequences"? "Cooper give to the whole project"? "Highest kill-count in history" - You mean U.S. history. Someone needs a lesson in commas, and the fact that CPO Kyle's Navy rank is never mentioned in the review shows a lack of class. I expected a lambasting, but a well-written one. This is tripe. This whole site needs a full-time editor...I don't even bother reading articles by Ethan anymore. Apologies for the typos. We work fast, even in editing, and we're only human. Even the most well-respected world news outlets make typos. Also, I'm pretty sure that the film itself never even mentions Chris Kyle's rank. And the title card at the end certainly doesn't use his rank before his name either. The fact that you edited the post suggest that you care about the quality. Good on you, and thanks for taking the time. It would be nice if Jeremy showed the same initiative for quality and respect for the subject matter PRIOR to banging out a poorly written review. The film does mention CPO Kyle's rank - several times, during dialogue - and I find it hypocritical to blast Eastwood for "doing a disservice to [his] very real accomplishments" without ever acknowledging them editorially (neither out of respect nor as a part of the critique). you make more "wah wah's" than an 80's hair metal guitarist. Great movie and realistic review. The scene where Cooper is holding his baby appears to be a plastic baby. Why did this happen? HAHA. It was SOOO obvious. The robotic fingers. I really have never seen or can remember a movie with a more fake baby then this. We laughed and it totally ruined the scene (s), IMO. 6.5/10 Cooper is pretty good but nothing "great" from his performance. Overall the wife back home scenes didn't fit together very well either. It was actually annoying to be cut back to "back at home with the wife" during action scenes. Even if it really happened as shown (during the dumb phonecalls for instance) it took away from the experience. A better sniper movie is enemy at the gates. Sure this is a biopic but it is also for entertainment and the wife scenes pretty much ALL of them missed the mark starting all the way from the stupid bar pickup from cooper. It is worth watching sure. But just don't believe the hype and expect greatness. Disagree. I thought it was fantastic. And besides, any film that shows western forces destroying radical Islamic scum is a good watch. Yeah, that's been a TREMENDOUS help to the West hasn't it? Would you prefer we let these animals take over the entire middle east? Do you have any idea how many of these "animals" there really are in relation to the Middle East. See, this is the problem with blind hysteria and the people gullible enough to believe ANYTHING that governments want them to. The reason this new line of teenage terrorist groups exist in the first place is because of the bungled mess the West has created in Iraq, Afghanistan and likely will in Syria and a few other countries just for good measure. No, the real problem isn't the animals over there, the real problem are the animals over here and all the young crazies who want to seek revenge upon them using US AS TARGETS. This movie will NO DOUBT fan the flames too. Trey, you do your government proud. Typical whiney Libtard response. Blame America for the world's problems. Here's a little FYI - Islamic terrorism has bee n around a lot longer than US foreign policy. Try reading a book or doing some research about Islam, and the millions it has slaughtered since its inception thousands of years ago. I only have one thing to say in response and it clearly illustrates why you are not worth arguing with. I did not "blame America" Since you are so childish in your response, I feel you need a quick lesson in geography. The West is not just the USA. As for all your other comments, I will not discuss anything with someone who uses childish terms like libtard. Grow up. You are so indoctrinated by Fox News you can't be educated at this point. I don't even watch Fox News. Libtard. And I'm also not American. I'm British. So that means I actually can read a world map and know a lot more than you about world geography. I bet you don't even own a passport. I really doubt anyone would ever take you seriously even if did stop talking like a child. I can only tell a person to grow up so many times. When you said that going after the events of the film is going after Kyle's life you might be wrong. Read the book, met the man, but so much of this film, especially the combat is fabricated, not in the book or exaggerated for shock. He had to go through horrible things but this Mustafa character is basically made up. He did go one on one with a legendary sniper, but they did not meet multiple times and did not have some giant battlefield rivalry. So some of this stuff is hammy, it is fake, it is acted up and made bigger, and less personal. The important stuff comes in the last twenty minutes of the film, his legacy of trying to help men with PTSD... brushed over. Hugely disappointing. I don't think you actually read the book. If so you would not be saying going after the film is going after Kyle cause this is a horrible take on the book. So much is made up and left out. Which is insane because Kyle's real life experiences are great stories to tell. This is just a sad hollywood type take with very little in the way of actual events. Clint Eastwood has been making the same film for the last 20 years. Safe and boring Clint. Talk to the chair. Disliked it. I did google Kyle's story after the movie and i thought wow i still cannot believe how this dude died. My respects to him. But the movie? meh. Im not a fan of Eastwood in the director chair. Like him as an actor in the movies i grew up with a lot more. No mention that the guy in real life is a sociopathic killer? Really? Considering I'm about as anti-religious as anyone could get, your comment is hilarious and completely ignorant. Can you show me exactly where Christians - even the most extreme ones - are beheading innocent children, inducing forced marriages, carrying out female mutilation of genitalia, encouraging Muslim men to marry children, committing Halal scams in non-Muslin countries, killing homosexuals, blowing up innocent people around the world, Jihad, Hadith, and killing Muslims for apostasy....? (crickets) Yeah, didn't think so. 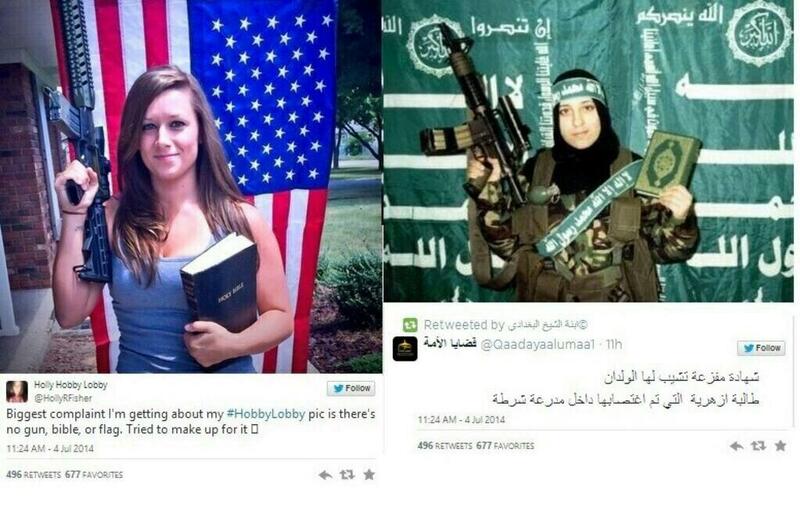 For hundreds of years Christians have killed people in the name of God and religion. I was raised Catholic and I too hate religion in general. Maybe they aren't doing it in such horrific ways currently but that's a narrow way to look at things. Telling people they can't wear condoms for instance means they will have unwanted children, some of which will be aborted. That's death. Condemning homosexuality will cause suicides, etc. It's not just beheadings that kill you know. America just killed between 130-150,000 Muslim civilians just in the Iraq war. More veterans have killed themselves from depression than actually died in combat. I myself an not justifying anything the extreme Muslims are doing and think it is all wrong. On that we agree. But to think of things in such simple one-sided view is also wrong, shortsighted and completely ignorant. You gotta think about how we got here and why. You don't have it all figured out dude. I haven't even seen this movie but from what I've read about the guy it's based on he sounds like a small-minded brainwashed and sociopathic individual-pretty much what the military loves and glorifies. Every religion has blood on its hands. But again, history does not lie, and it reveals that Islam has slaughtered far more people than Christianity or any other ideology - including atheism and communism. This is a modern day problem that the west needs to face up to - otherwise if we continue to blame others, and try appeasing them, we literally risk annihilation of our core values and way of life. Look at what's happening in Europe now, even Australia and some parts of Asia. The simple truth is that radical Islam is the scourge of humanity and must be stopped. But here's the thing - I actually don't think WE can stop it. I think Islam itself needs to be responsible for the radical elements within itself. More Imams and Clerics need to stop young minds from being violated and seduced by the radical aspects of the Qur'an. But the problem is that the so called 'moderate' Muslims are not nearly doing a good enough job at stopping radical Islam - and in many instances are actually encouraging it in Mosques.